GF! with a 40 year old gut! Fun!! It's called "rock 'n roll" ya whippersnappers! 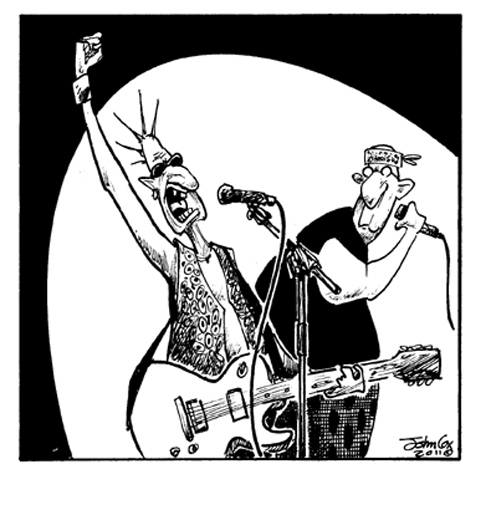 Hard to believe the "Rock and Roll Idols" of the 60's and 70's are now leading us into "Social Security Land". "FEEEEEE-LINGS, whoa, whoa, whoa, feeee-lings..."
This page contains a single entry from the blog posted on August 15, 2011 2:14 PM. The previous post in this blog was Illustration Friday Entry: SWELL.